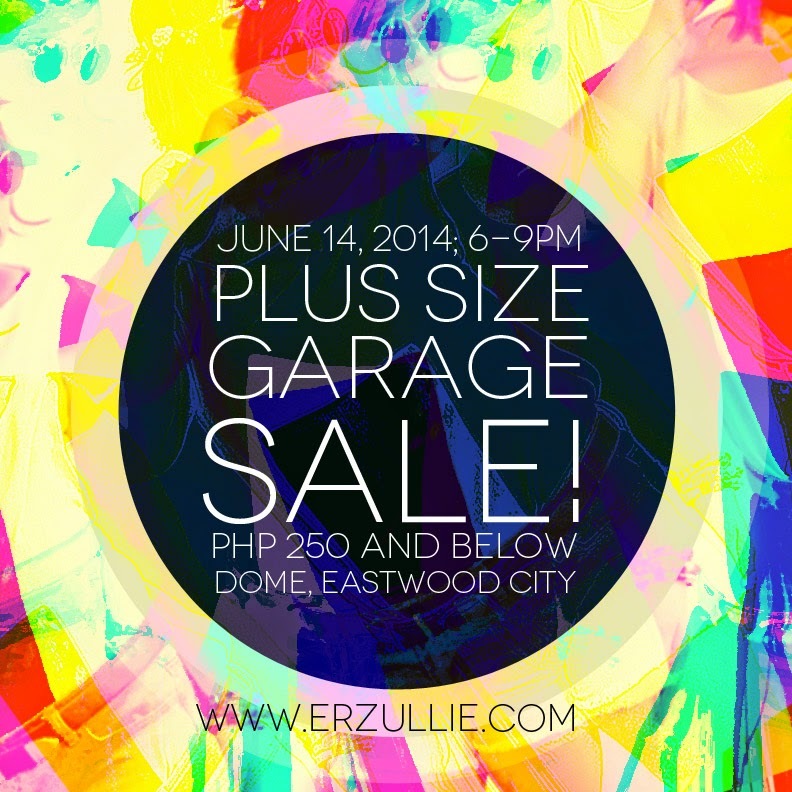 We are proud to announce that the Erzullie family (designers, Berna Cuevas and Aries de Guzman, Icons, Loren Monares, Kat Lopez, Monica Reyes and Kat Catapia, as well as Make-Up Artist, Azaza Rodriguez) will be having a PLUS SIZE GARAGE SALE on June 14, 2014, Saturday (6-9pm) at DOME, Eastwood City, Quezon City. 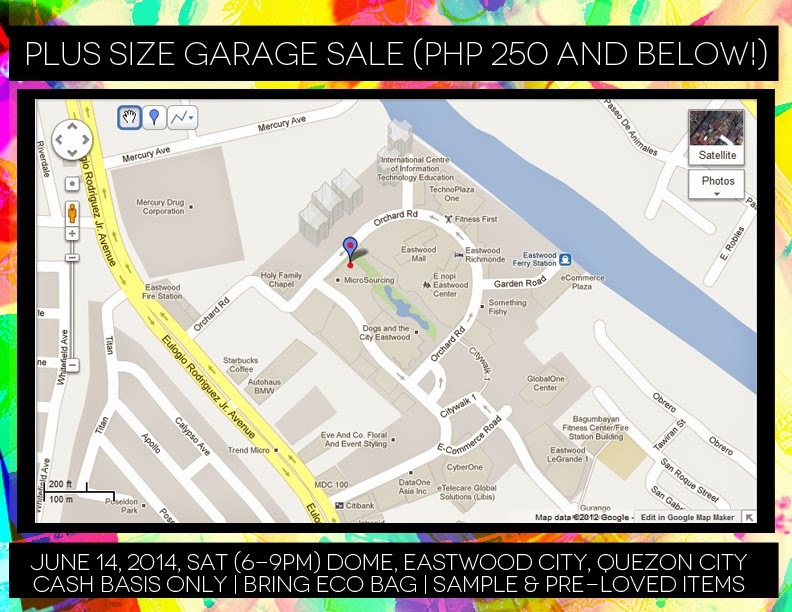 Enjoy shopping samples and pre-loved plus size clothes (L-4L), shoes, make-up, bags and accessories for only Php 250 below! All transactions are cash basis only and bring eco bag too. No need to register. Just visit us on that day.